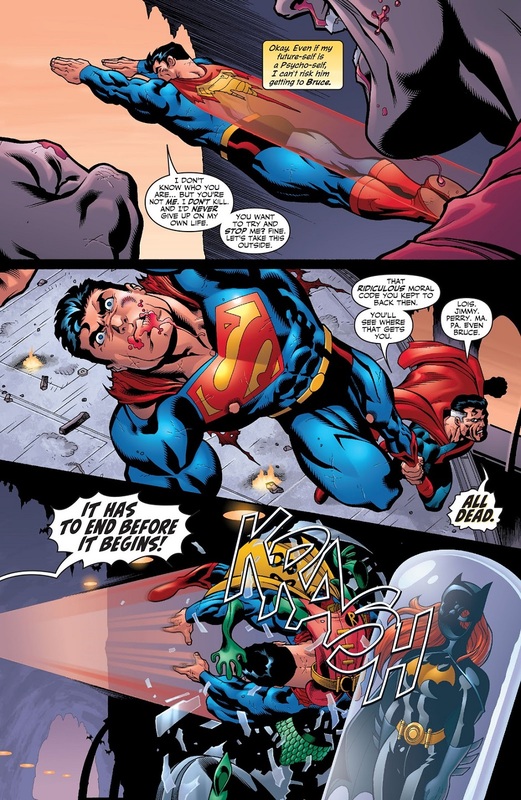 You know, Clark is awfully chill about having just shot his future self to death there. 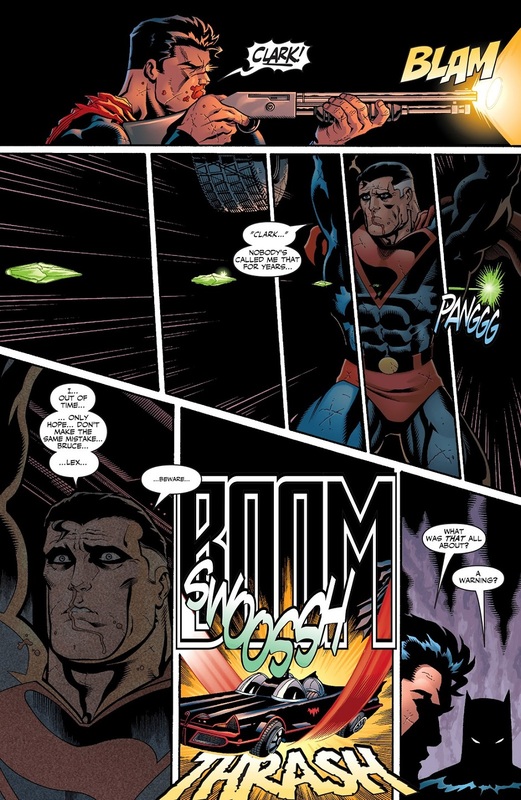 I mean, unless he assumed something else would happen when you shoot kryptonite at him. A short injury, followed by a swift recovery? Like what happened in the last issue. 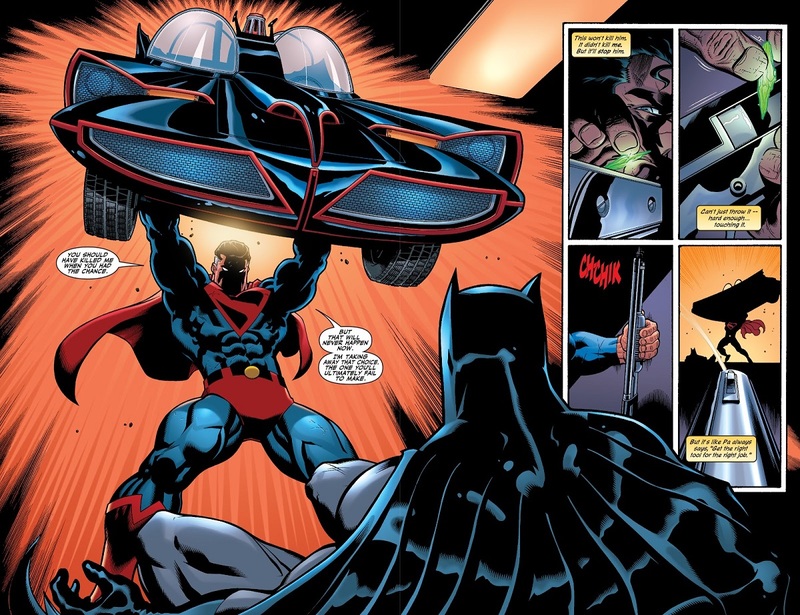 Damn, I forgot about Loeb's approach to Kryptonite. The future self vanished, rather than having the kryptonite bullet lodge in him. 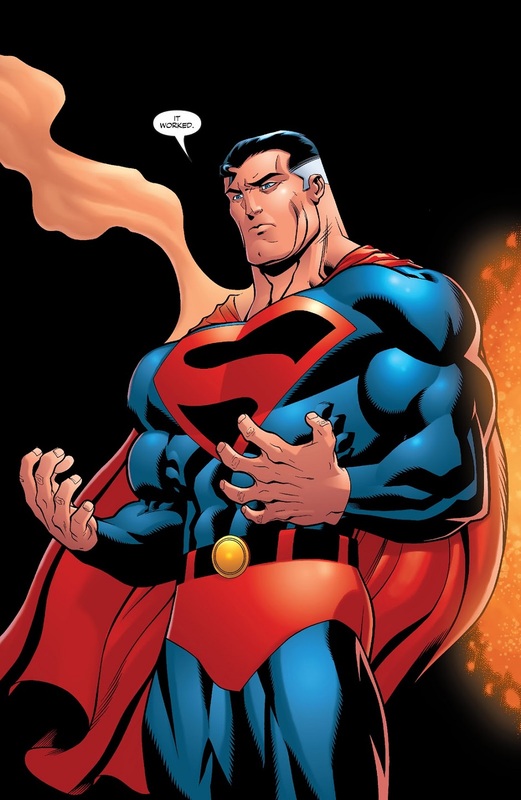 Also Superman's survived it before, it just takes surgery. 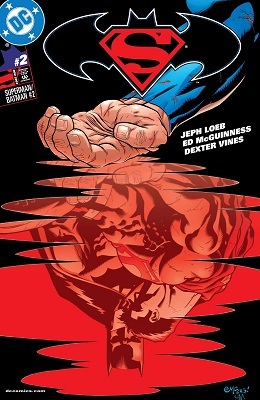 Yeah, Jeph Loeb does not get Superman's inner voice at all. Shotguns do not work that way. 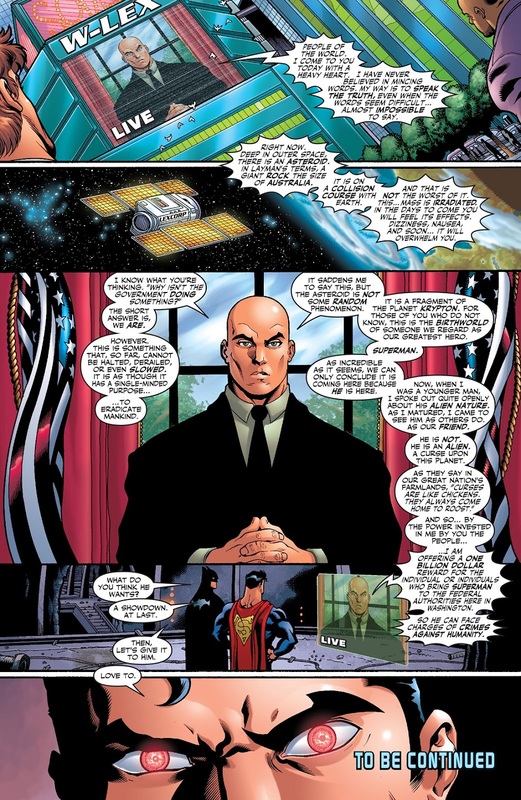 Okay, I get villains jumping at the chance for all that scratch, but exactly why do any heroes believe Luthor for even a millisecond? I don't see why anyone believes him. What, do they think that if they catch Superman and exile him from Earth, the asteroid will change course and follow him??? 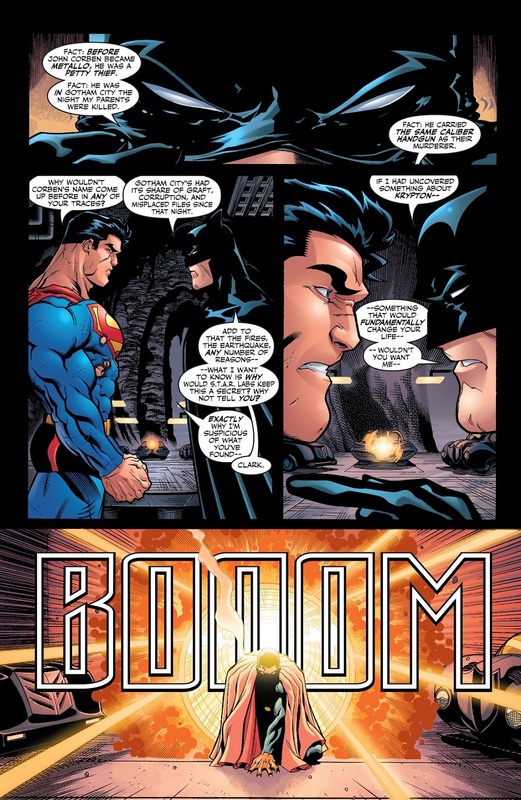 Also, do they mention the exact caliber of bullet that Corben uses and the Waynes were killed by? Unless it's something really oddball, Bruce is REALLY stretching here. I do like the idea of a lonely Superman who has no friends left being taken off guard by someone calling him by his human name. Wish it was Batman instead of Superman though.